If you're already familiar with JotForm Webhook, here are example scripts that you may want to try. Note: Make sure to update the field names on these scripts with the field names from your form. 2. SMS Notification - Send SMS after form submission using your SMS Provider's API. 4. Bounce Notifier - Get notified when submission failed to be sent into your recipient email. 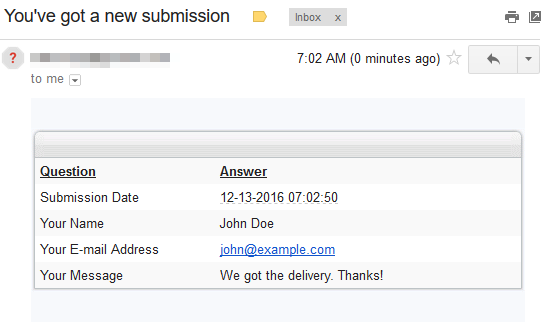 Note: Replace the FROM and TO emails as well as your JotForm API Key in the code. Important: This code requires PHP Client Library from the JotForm API page (or you can download it here). Place the JotForm.php file within the same folder containing your bounce notifier php file. We will post more examples from time to time. If you have any suggestions or if you need help with Webhook, feel free to post it below. I setup webhook url in my account. I am getting event in webhook after form submit. But not getting form submitted detail in response. Can you share me your testing response data? Hello, I am trying to connect a Microsoft Flow to a Jotform form of mine, but the Flow creation is not triggering the webhook link connection. Are there any instances of webhooks not being able to connect to certain forms? Unsure why it isnt connecting properly. We've submitted a support request on this topic. We need to allow our users to run queries/views of submissions whereby the can sort & filter and then page through the resulting dataset record by record. Is there a way to send this to a Netsuite account to create a lead record? 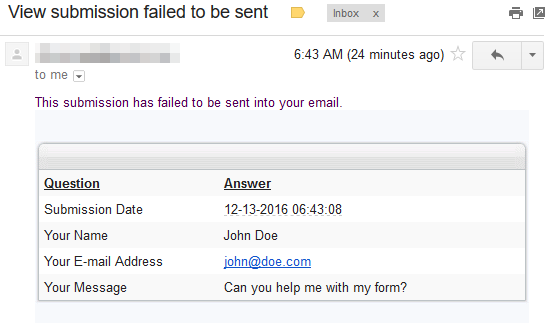 1) Is there a way of sending a copy of the form via email to 3-4 different parties if we know their email address in advance? Can I send an update to a form in Asana from Jot form via webhooks? Can I post data collected on a form to another form? For example, I would like to collect data (travel authorization, air fare, lodging, meals, etc.) on form1 and then post it to form2 (budget approval) and form3 (department approval)? When using the SMS sample script in my php file. Where do I come up with this information? How to send post data using webhook? How to forward approved submission through php and mysql? How can I access the data from my forms programmatically? Is the data collected available in a database where it becomes downloadable into a csv file? How do I connect my form to my database?